Terric Davis’ life ended in Tacoma last night after only three years on this planet. A little after 11pm, his mother took him to Mary Bridge Children’s Hospital because her child was having trouble breathing. An examination showed signs of blunt force trauma to the head and abdomen, clear signs of abuse. Twenty minutes later, Terric Davis’ died. His mother’s boyfriend has been arrested in connection with the murder. 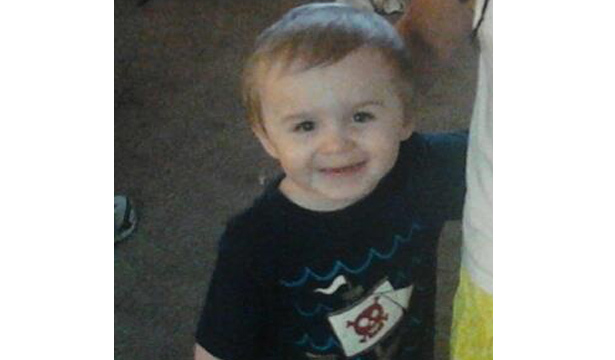 Terric’s 2-year-old sister was taken into protective custody by police. This is the fifth Tacoma homicide this year and the second Tacoma homicide in which the mother’s boyfriend murdered a toddler. A little over a month ago two-year-old Chayson Colley-Jones was murdered. I would love to write more about Terric’s life, to tell you of all of the friends he made, the things he accomplished, and the dreams he had. Unfortunately, these things will never be known and never happened and cannot be written about. These Tacoma stories have been stolen from all of us and we are all a little poorer because of it. This entry was posted in Tacoma Crime, Tacoma Homicides and tagged Child Homicide, Tacoma Homicide, Terric Davis, terrick davis. Bookmark the permalink. I don’t have to be close personal friends with someone to have empathy for dead children. It’s simple humanity. I don’t speculate. I write about what happened. I just don’t write it like a newspaper because this isn’t a newspaper. If you look at this site, you’ll find that I spend quite a bit of time on positive things in Tacoma. Over the years that I’ve been chronicling the homicides in Tacoma I’ve had numerous conversations with family members and friends of homicide victims who are thankful for my posts. Lastly, I am not profiting from this in any way. The ads you might see on some posts are from my host, WordPress and I do not make one dime from them. I also do not ask for donations. If you do not like this site, you can feel free to visit some other place. If that’s is all true then I apologize. It’s hard for me to fathom “feeling” this. I only met the child 2 days prior and just loved him. I’ve known the alleged defendant since he was the same age as the victim. I have a hard time understanding how you can be as insightful as your comment was. Again, I apologize and I’m well aware of what I can do. I read this because it is about someone important to me. Again, I apologize for assuming you made money from blogging. Now that I think about it I don’t see any ads. Thanks. Apology accepted. I started writing about the homicides in Tacoma after spending two years working at the Law Enforcement Support Agency in police records. Transcribing 50-100 police reports every day quickly made me feel a lot of empathy for the daily tragedies that happen in Tacoma. Added to that was the fact that the media loves to focus on the killer rather than the victim. So I thought I’d write about the victims instead. Occasionally I get offers for advertising on this site and I’ve refused every one of them. The idea of making money off the deaths of innocent people seriously bothers me. One day I may collect these writings into a book but if I did, I’d have all the profits go to a crime victims’ charity. I’m sorry for your loss, Robert. Not just of the child but also dealing with what your friend is accused of. I’ve had friends do things I thought were unimaginable at the time. It’s hard to fathom. Thanks for taking the time to reply. Thank you Jack for the good work you are doing. You are very correct when you say that the media gives more attention and insight to the perps than the victims. I appreciate what you are doing here. Keep up the good work. My thoughts and prayers are with the families. Hi Jack, I am sad to say that I only recently heard about this tragedy. I have known the mother for approximately 12 years and am devistated by this. We are trying to locate the mother and if anyone sees this and has information, I would greatly appreciate being contacted. I have been in contact with her mother and sister and they do not know where she is. Obviously this has devistated her life and she has bascally disassociated from family. I just want to reach out to her and offer some love and support.. Please this is quite personal and very serious, if you have any knowledge of the mothers whereabouts, please contact me via this story, I will have follow up comments emailed to me. Thank you and God bless!